Unreal Lawns supply and install artificial grass in Wythenshawe and the north west of England. We serve domestic and commercial customers in the area, with products suitable for a wide range of applications from outdoor spaces and gardens, to event areas, exhibition space and more. See below for some examples of projects we've carried out in the Wythenshawe area. A customer in Wythenshawe, Manchester got in touch with Unreal Lawns for the replacement of their back lawn with artificial grass. 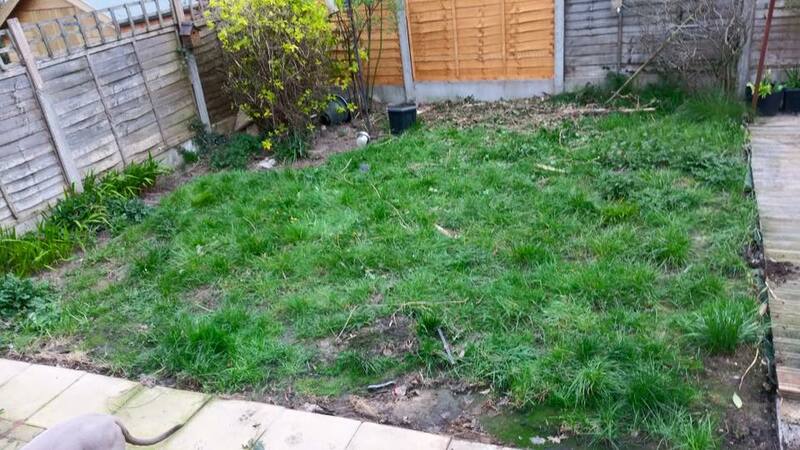 The existing lawn was very scruffy, overgrown and patchy, which didn’t make the garden an appealing place to spend time. However, using our top of the range Supreme artificial grass, we transformed the garden into a tidy and attractive space. The customer was left delighted, as can be seen from the review in the images.